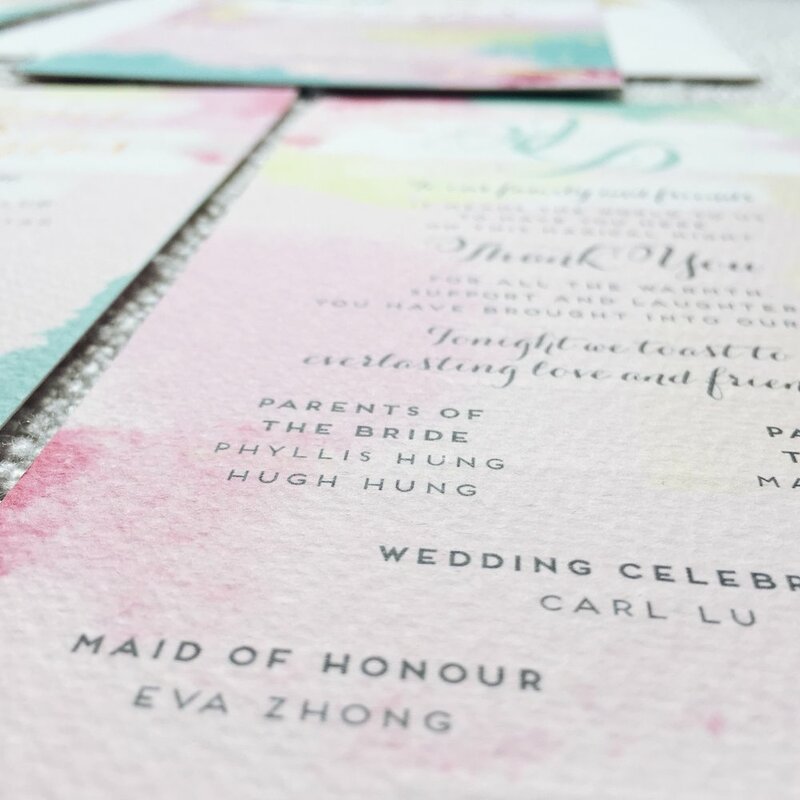 Find out more about some of the invitations by Spinsugar Stationery. Click on the thumbnails to enlarge. Anna & Flemming's wedding invitation suite features pretty florals and delicate washes of navy blue watercolour for their destination wedding in Copenhagen. 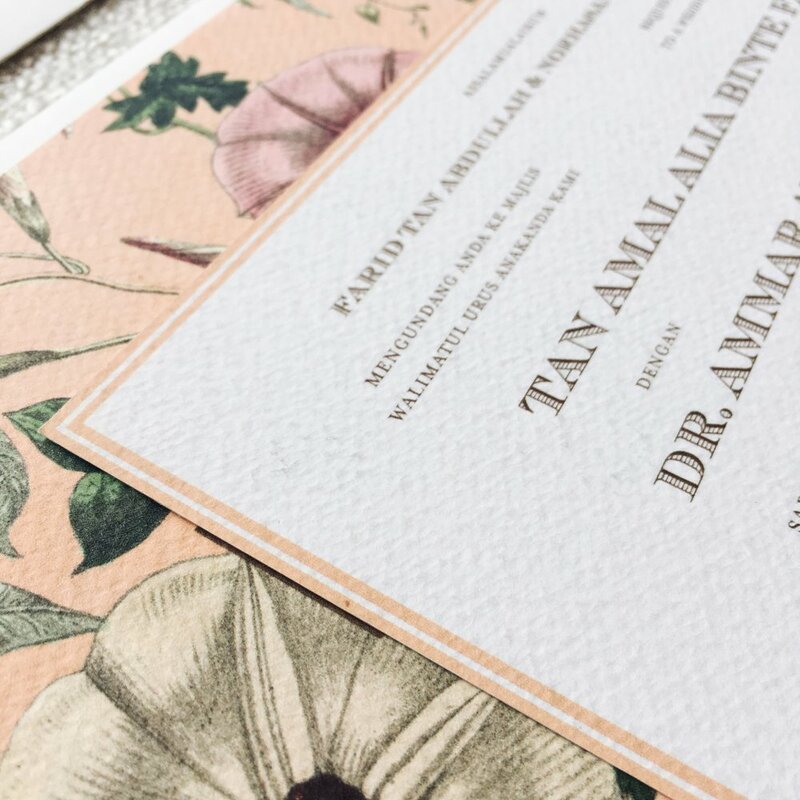 Vintage botanical illustrations of peonies adorn Usman and Saika's wedding stationery. 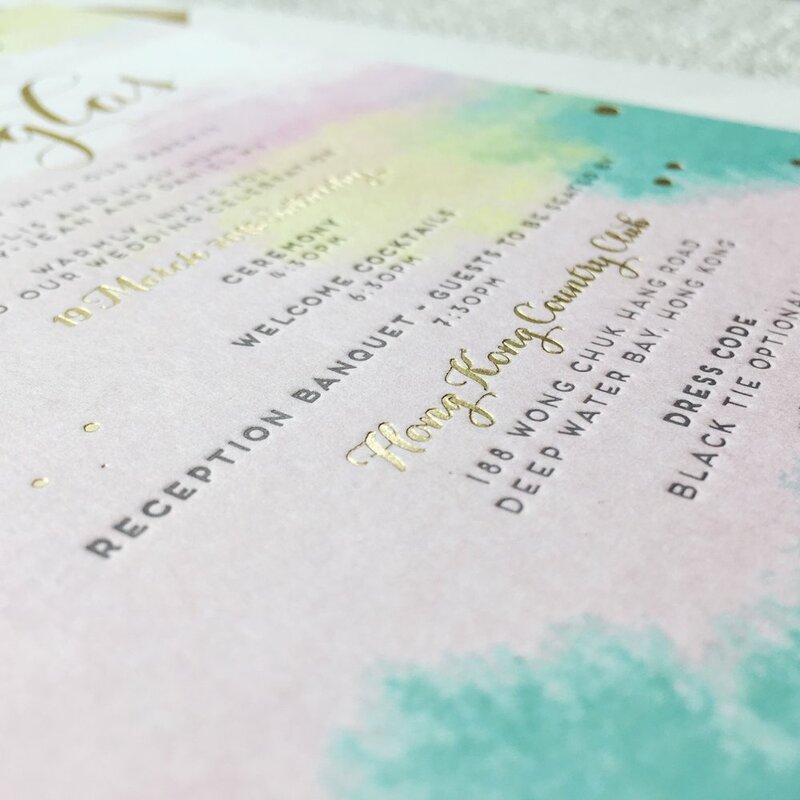 Janet and Douglas' spring wedding invitation is a splash of pink and turquoise with splatters of gold foil. 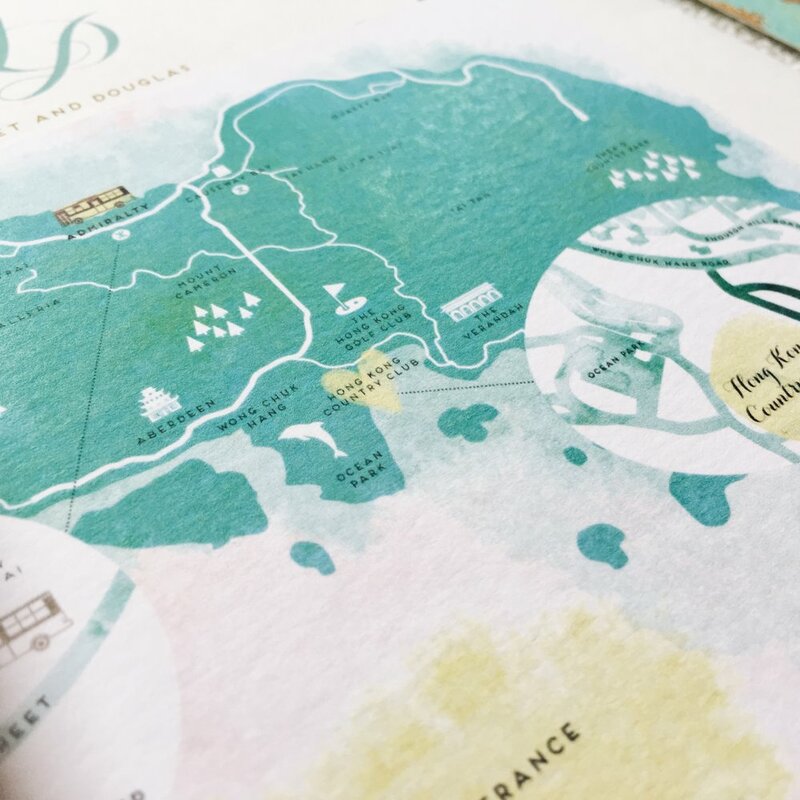 The stationery suite also featured letterpress printing, custom envelope, location map and wedding menu. Amir and Charmaine's classic invitation card features a romantic script paired with a classic typeface against a subtle watercolour wash and gold foil details. 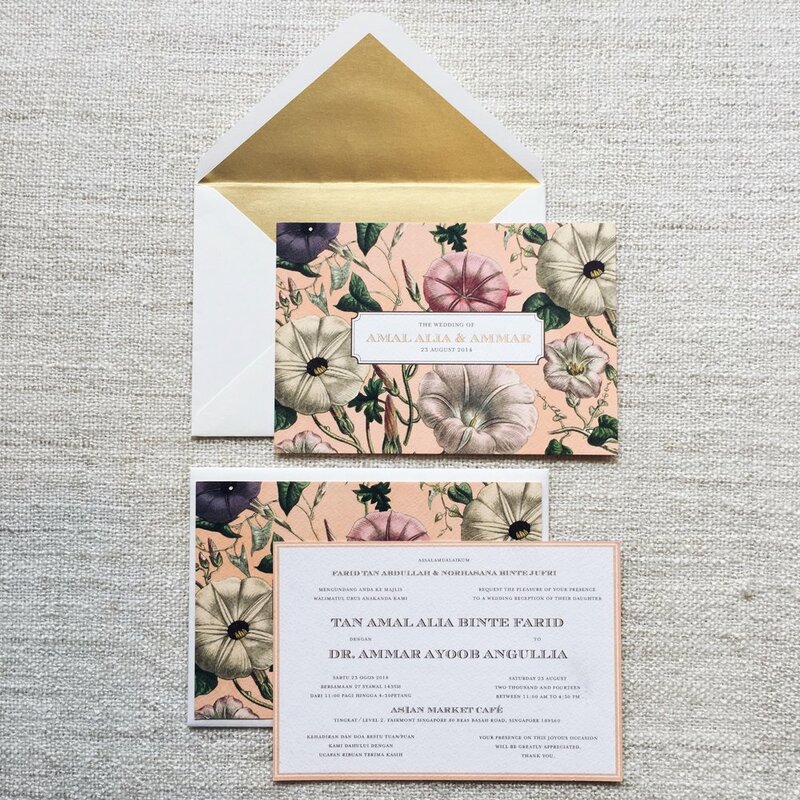 Amal and Ammar's vintage botanical invitation features gold foil stamping and a classic typeface. 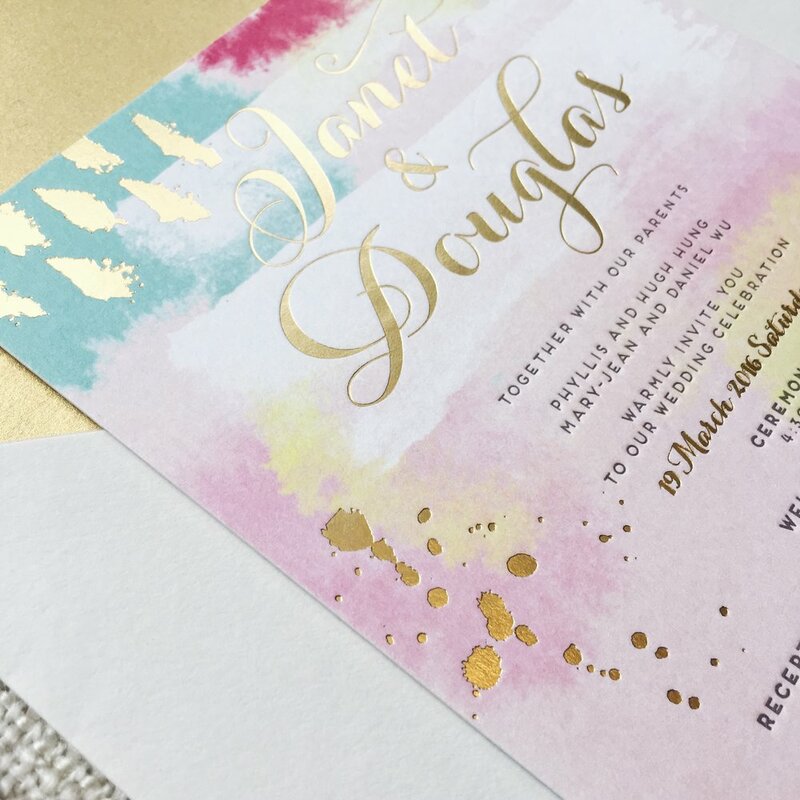 Blush & gold foil makes for a timeless combination for Raisah and Geoffrey's classic wedding invitation. Sazali and Zarifah went for lush, bright red florals for their modern botanical wedding at Hortpark. Azril & Yati’s chic modern invites featured black ink and gold foil details. Modern typeface and a delicate wash of watercolour in blush for Cheryl and Neil's big day. Bold and chic invitations for Nisa and Aliyyun featuring silver lined black envelopes with foil stamped details in silver on textured felt paper.